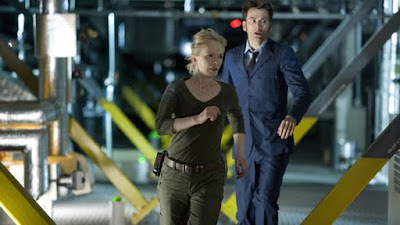 "Doctor Who will return to BBC One on Sunday 15 November for The Waters Of Mars – the second of four specials airing throughout 2009. 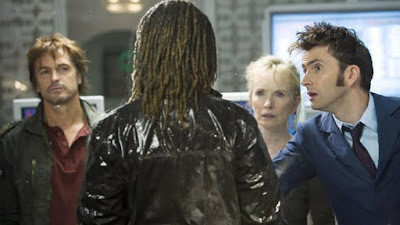 Starring David Tennant as The Doctor and guest starring acclaimed British actress Lindsay Duncan – best known for her roles across stage and screen (Margaret, Rome) – The Waters Of Mars is set to be one of the most scary episodes of the series to date, as a creeping infection beneath the Martian surface threatens not only the human race, but also the Doctor's most fundamental beliefs – with terrifying results. 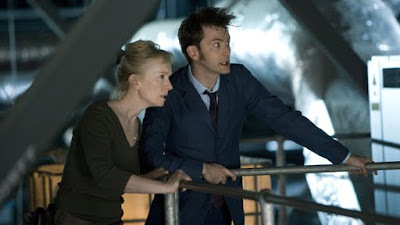 Lindsay Duncan stars as Adelaide – the Doctor's cleverest and most strong-minded companion yet. Neighbours, Flying Doctors and Casualty star Peter O'Brien also guest stars as Ed, Adelaide's second-in-command at the base." Oh look, PROPER Who! Let's pretend Planet of the Dull never happened. 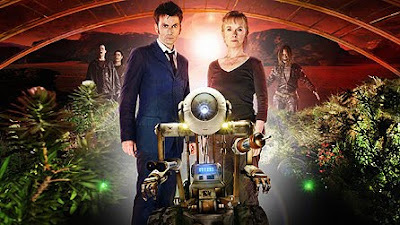 I agree planet of the dull was...well dull! Dull from Dullsville on the planet Dulltopia! But 'Waters Of Mars' looks a right scarefest! Can't wait.